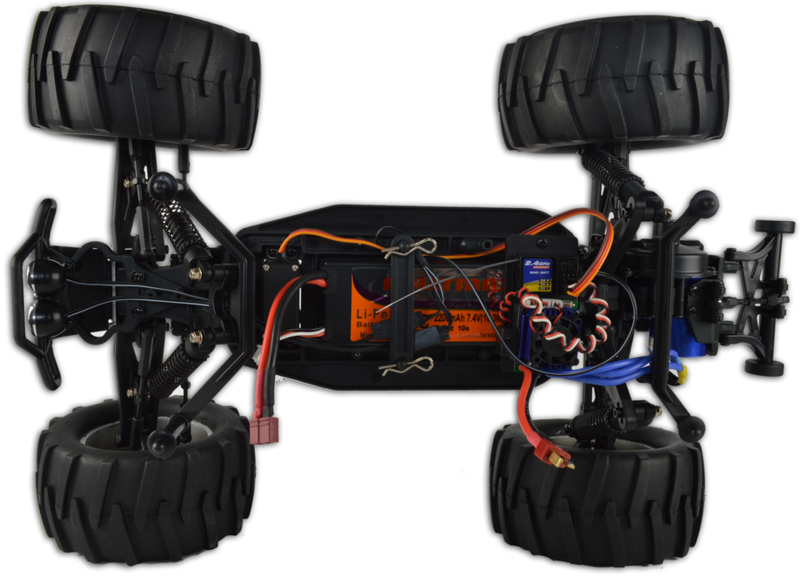 This is an upgraded faster version of the standard Circuit Thrash RC monster truck. 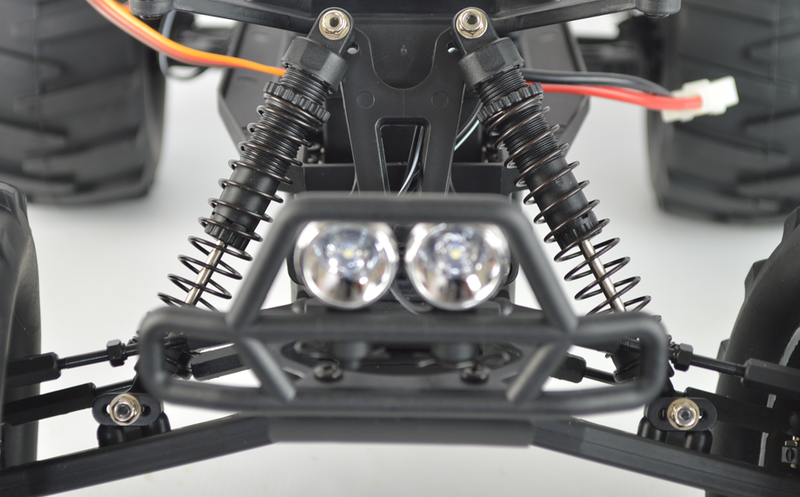 This upgraded version comes with brushless setup including 2700KV brushless motor, 35A brushless ESC, 7.4V 2200mAh 25C lithium polymer battery and 2.4Ghz radio equipment. With this product, you earn 179 loyalty point(s). IMPORTANT - Please note the instructions and box of these models say they are 1/10th scale BUT they are actually 1/9th scale. 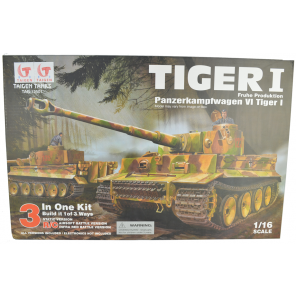 If you check the dimensions you will see they are 1/9th scale and bigger than 1/10th scale models. This is just a printing mistake and this can be verified by contacting the manufacturers directly. 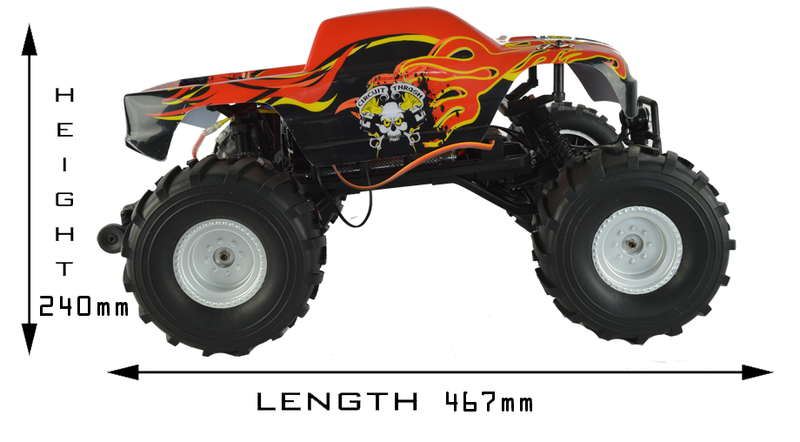 This is an upgraded version of the standard Circuit Thrash monster truck. You can see the standard version here. This upgraded version comes with brushless setup including 2700KV brushless motor, 35A brushless ESC with fan assisted heat-sink and a 7.4V 2200mAh 25C lithium polymer battery. 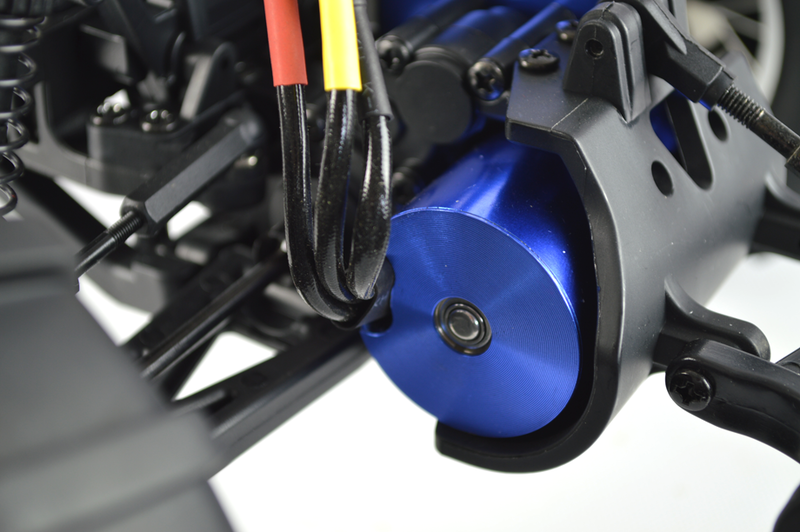 The brushless setup gives a lot more power and speed as well as less maintenance of the motor. 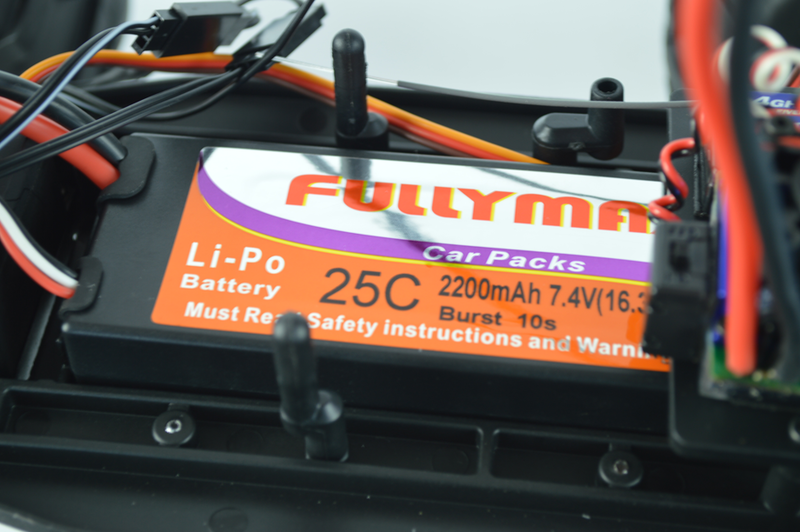 The Li-Po battery pack included is a big 7.4V 2200Mah 25C which will give full power for longer compared to the standard Ni-MH version. The radio equipment has also been upgraded to a wheel type 2.4GHz transmitter and receiver. This has many advantages over AM/FM transmitters; no need for fiddling with crystals, range virtually as you can see, no interference from fellow drivers and the best of them all a much more responsive precision steering! The model comes fully assembled and ready to run so all you need is 4 xAAA batteries for the radio equipment. IMPORTANT -Please use the video for presentation purposes only and refer to the on page specification and features section for correct performance and specification information. 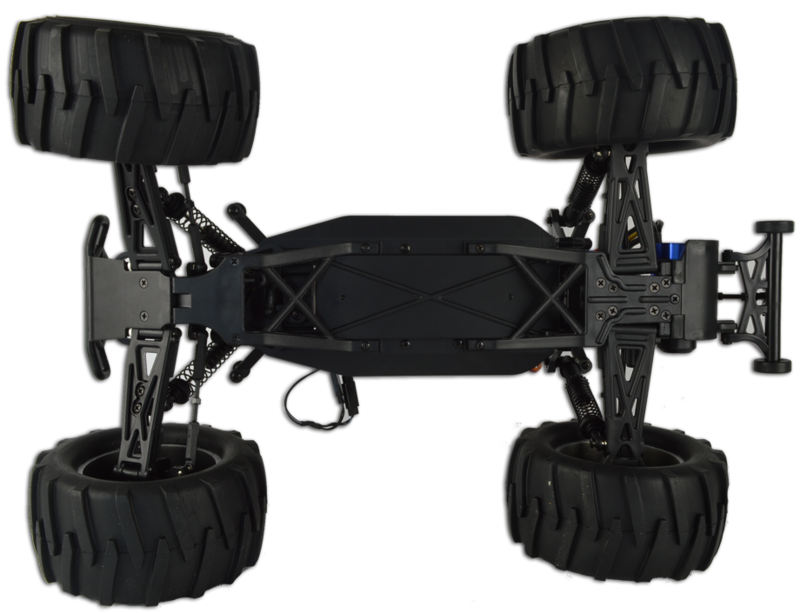 This model is built for fun with the 2WD system allowing you to pop wheelies and enjoy the feeling of driving a 2WD car. The gearbox spur gear features an adjustable slipper clutch that will help protect the gear's teeth. 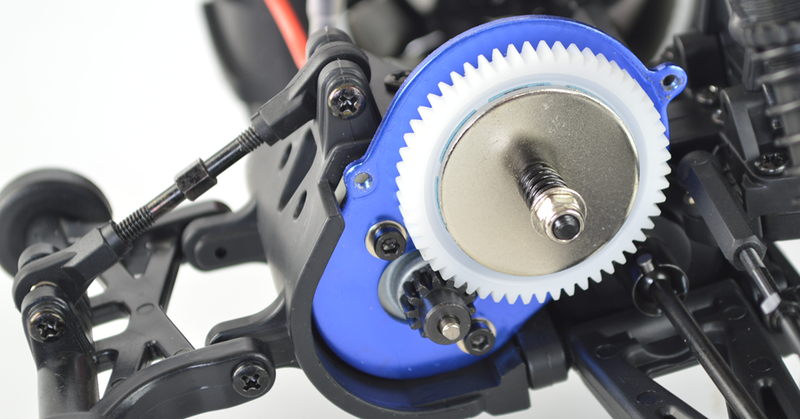 The spur gear itself is made from harder POM material. 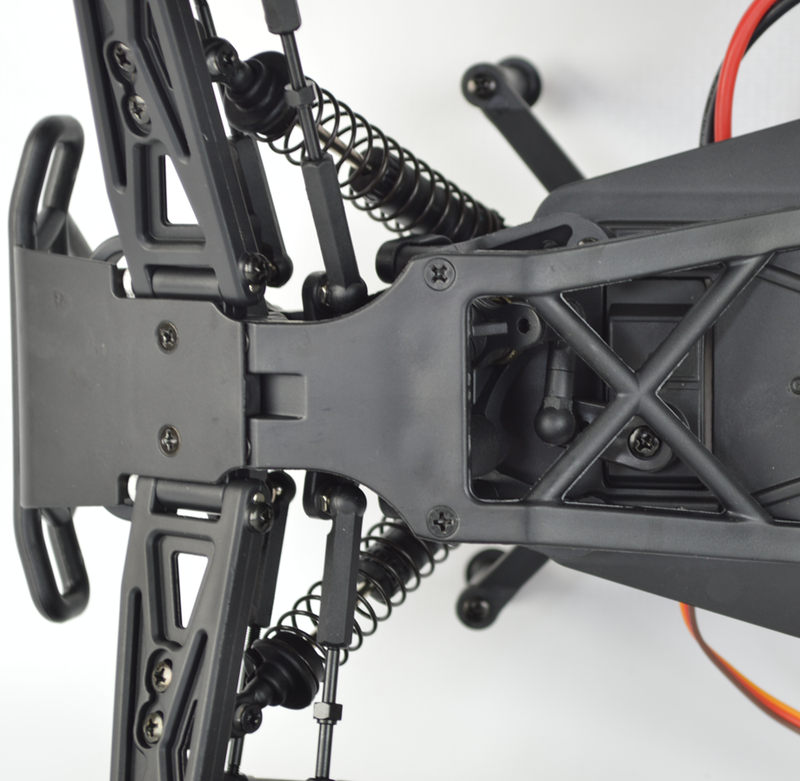 Includes a powerful 2200mAh 25C lithium polymer battery pack that allows you to take full advantage of the brushless setup and makes the model very fast indeed. Narrow chassis with support and countersunk screws for a flush surface. Includes a fully adjustable rear wheelie bar. The car measures 467mm x 240mm x 325mm (length, height, width). Advanced steering system features quick turning response. 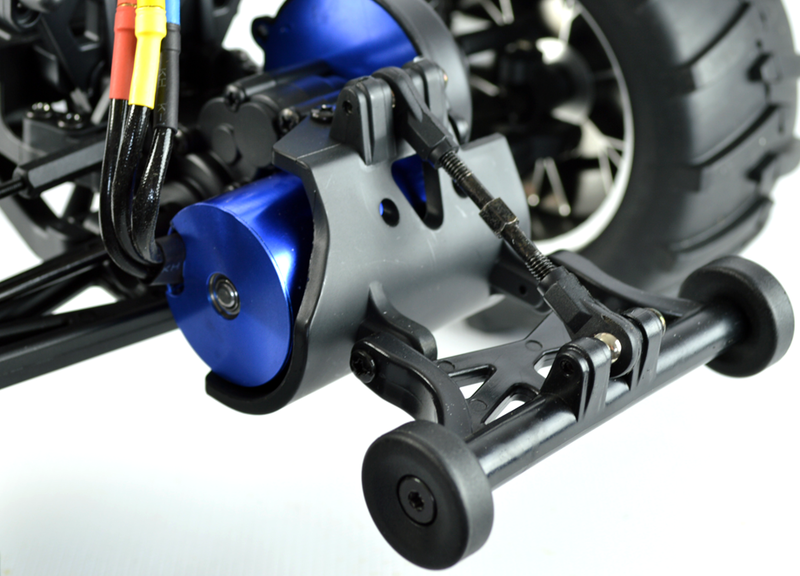 Adjustable oil-filled shocks are mounted to towers that allow you to adjust the angle and tension. This version of the standard Circuit Thrash comes with an upgraded brushless setup making it much faster than the standard version. does the charger come included? Hi does this model have metal pinion gear ? hi, thinking about buying this rc car and was just wondering if it was water proof. These models are splash proof not waterproof, these should not be submersed as this could damage it.